This gorgeous color is almost a blueish/purple and I fell in love with it the second I saw it. 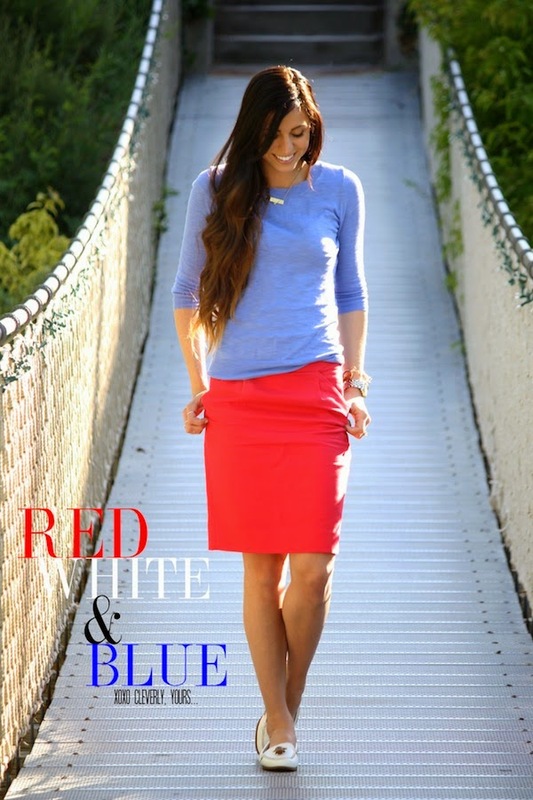 I also couldn't help but pair it with just about everything, including this bright skirt! I may be a little late on the Memorial Day look with the Red, White & Blue, but I figured you can never go wrong with bright colors for summer! I hope you all had a lovely weekend and are ready for a new week! Make sure to check out my Instagram (@robynstew8) today for an awesome giveaway from Just Organic Juice for a chance to win a 1 day or 3 day cleanse just like the one I did recently! All details will be posted on my Instagram so make sure to check it out! Have a wonderful Monday lovelies! Great look. I love the colour combination. That rope ladder looks like the one from Dirty Dancing haha. P.s. I am hosting a Forever 21 giveaway to celebrate the World Cup beginning next week and also the launch of F21's soccer collection. You can enter here > http://www.atouchoftartan.co.uk/2014/06/support-your-team-giveaway-part-one.html ... Good luck!! You look beautiful! That sweater is really cute! This look is beautiful, what a great combination of neutrals! I somehow stumbled across your blog while looking for reviews of Sperrys this evening. I am looking at purchasing my very first pair! I have read all sorts of stories on various websites about Sperrys making feet really sweaty so I have been hesitant to buy a pair in the past. Has this been your experience with Sperrys or are your feet always sweat-free when you wear them?